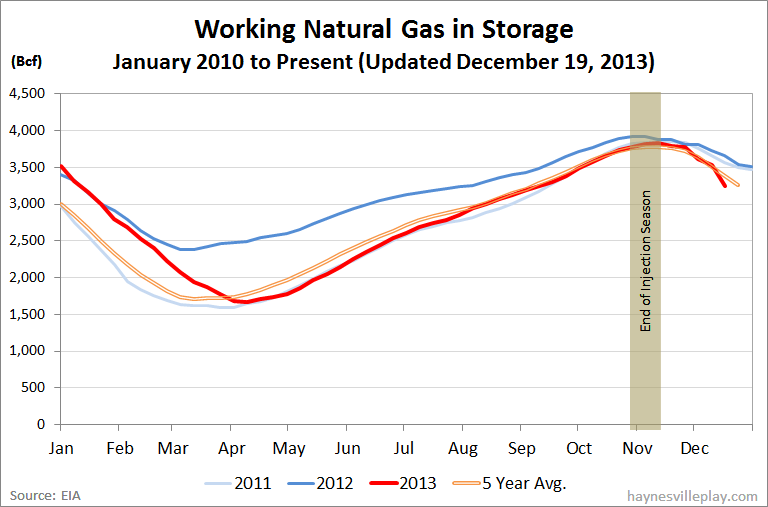 EIA reported that working gas in storage was down 285 Bcf to 3.248 Tcf. The weekly withdrawal was 307% greater than last ear (-70 Bcf) and 114% above the five year average (-133 Bcf). 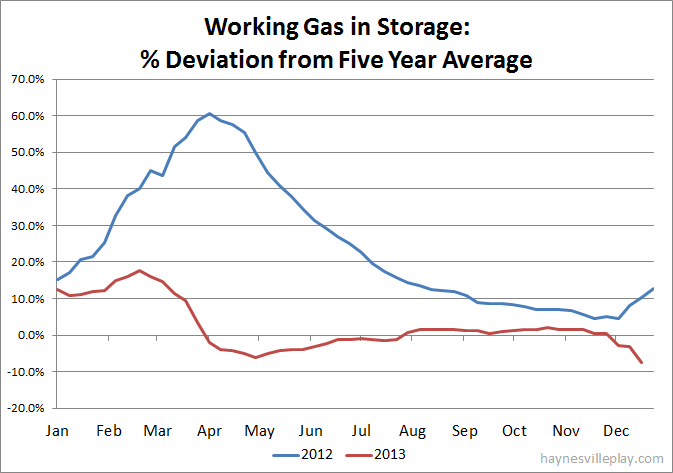 The current storage level is now 13.1% below last year (3.736 Tcf) and 7.4% below the five year average (3.509 Tcf). The 285 Bcf withdrawal was the largest single withdrawal from storage since 2008 (when I started watching this). As shown below, the 7.4% deviation below the five year average is the greatest in two years and I suspect even longer (at least five to six years, although I'm too lazy right now to calculate it). Chilly weather accounted for the large withdrawal, with temperatures averaging 29.3 degrees in the Lower 48, which was 15.1 degrees cooler than last year and 9.1 degrees cooler than average.